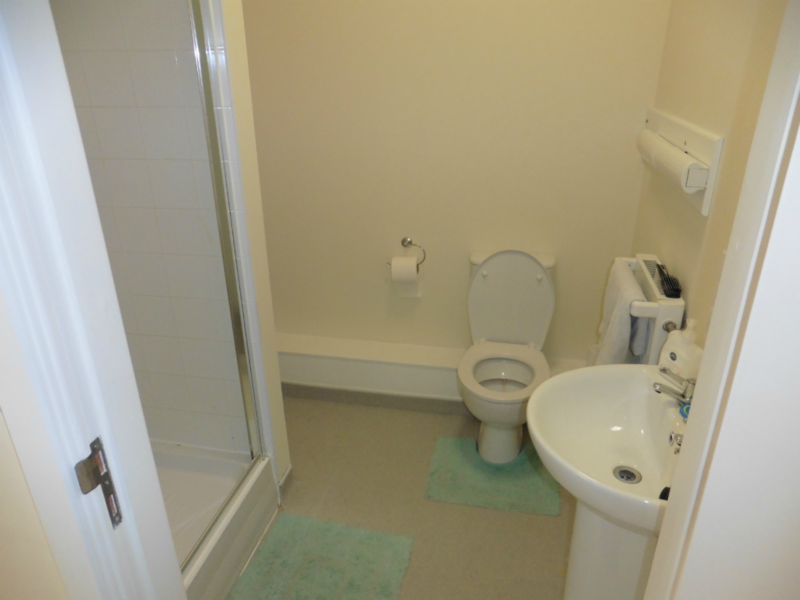 The emergency unit consists of a self-contained bedroom and bathroom with use of a shared kitchen and living room. 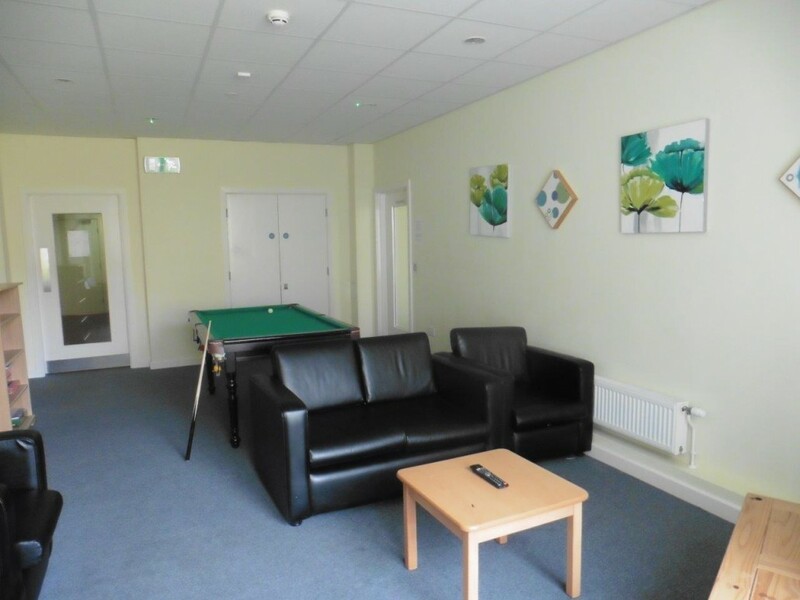 There are laundry facilities so that you can wash your clothes, and there is a television in the shared lounge. 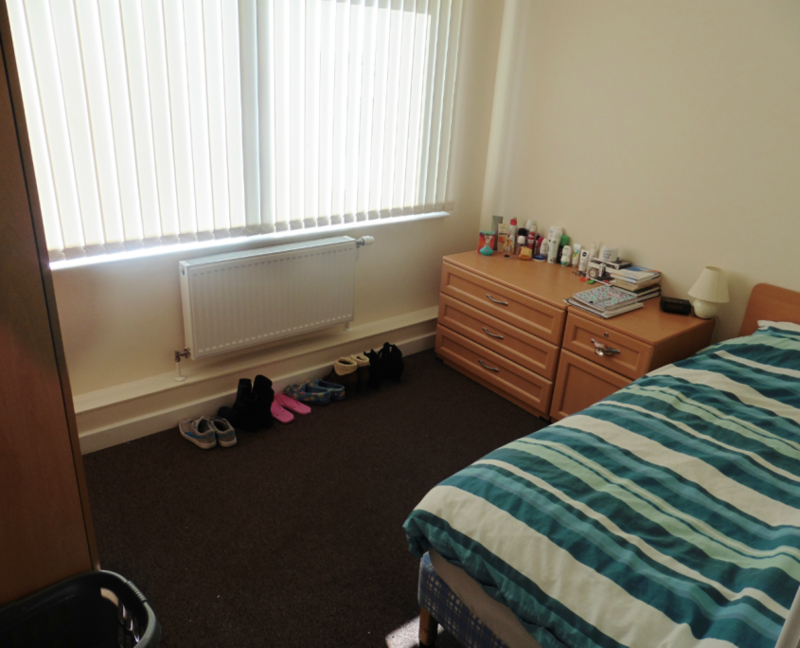 Each room will usually contain a bed, with bedding, a chair, a dressing table and a hanging rail for your clothes. Each Medium stay flat is fully furnished and self-contained with its own bedroom, bathroom, kitchen, living room and cupboard. 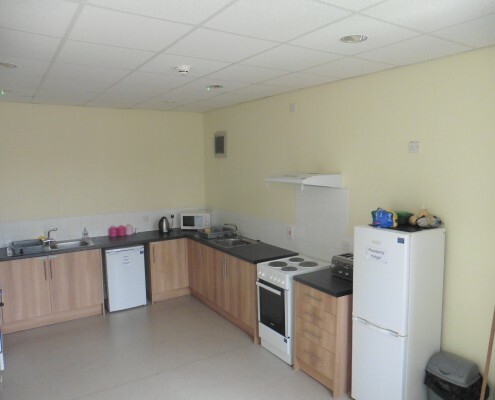 Medium stay residents have access to their own shared lounge, an activity room where you can do crafts or art, a shared kitchen and dining room where you can improve your cooking skills and an IT room. 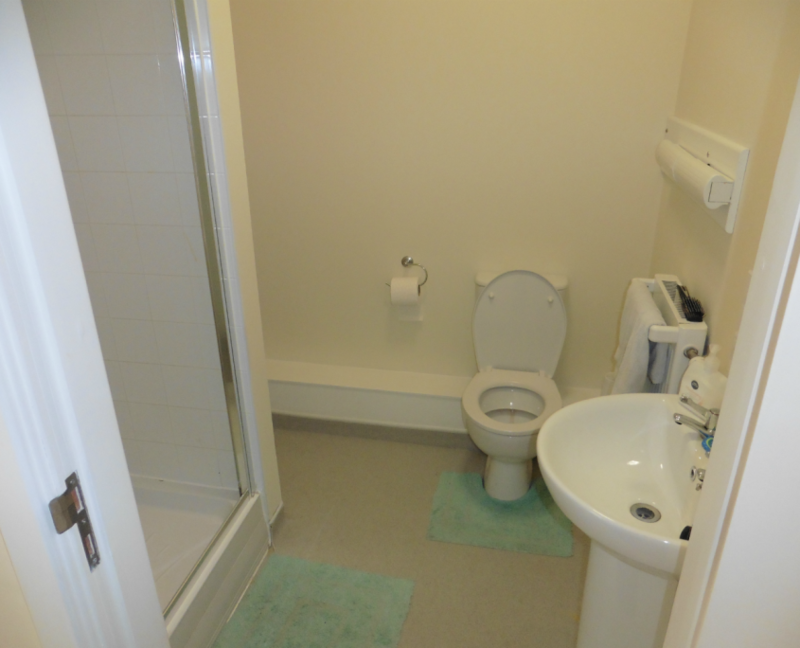 Each bedsit is fully furnished and self-contained with a bedroom, living and kitchen area in one room and its own bathroom. 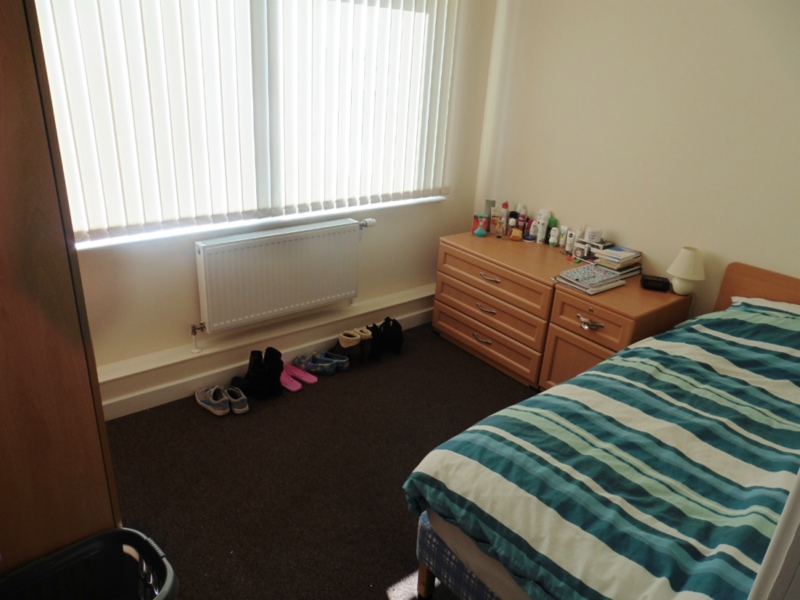 Each room will usually contain a bed with bedding, a table to sit and eat or do homework, a sofa to relax on and a wardrobe for your clothes. 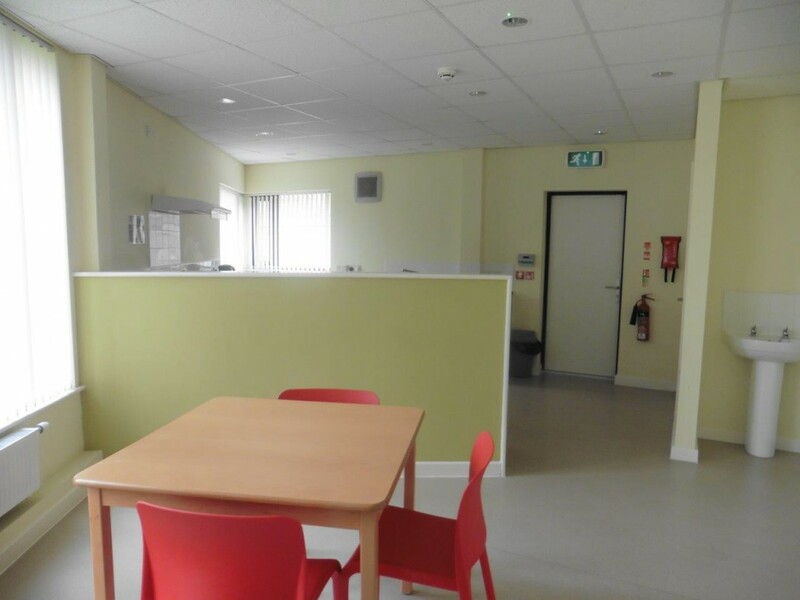 Medium stay residents have access to a shared lounge with a kitchen / dining area as well as access to an IT and Media room to chill out in. 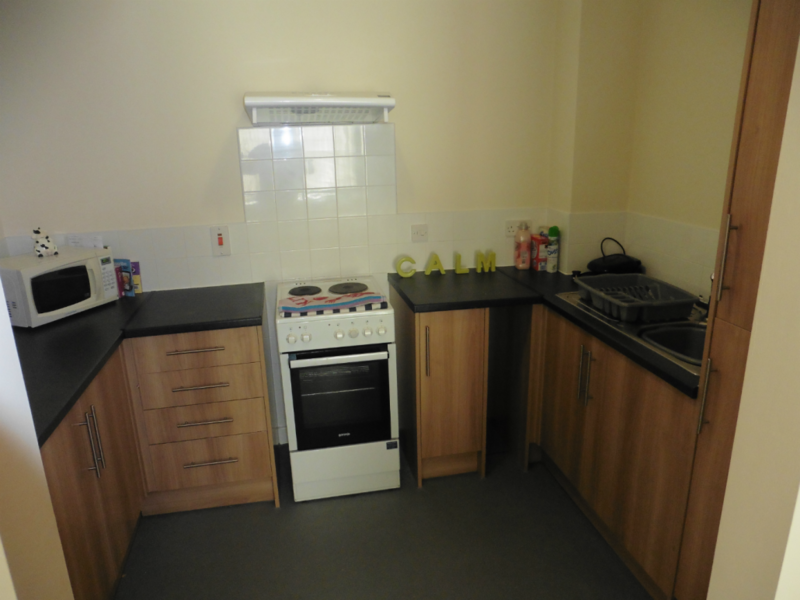 Each Annex flat is fully furnished and self-contained with its own bedroom, bathroom, kitchen, Living Room and cupboard. 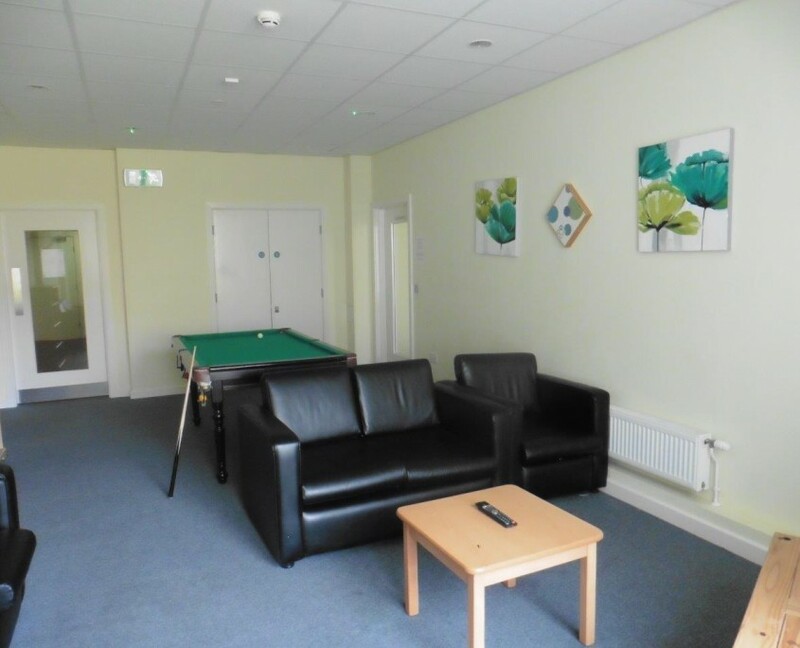 Situated next to the main project building the flats have their own front door for greater independence, but still have the benefits of shared communal areas and support. If you are claiming benefits you will usually be eligible for housing benefit, which will pay all or a portion of your rent. Your Housing benefit money will be paid directly to SafeSpace. If you are working it is likely that you will have to pay a portion or the full amount of your rent yourself, the amount you have to pay will depend on your earnings. 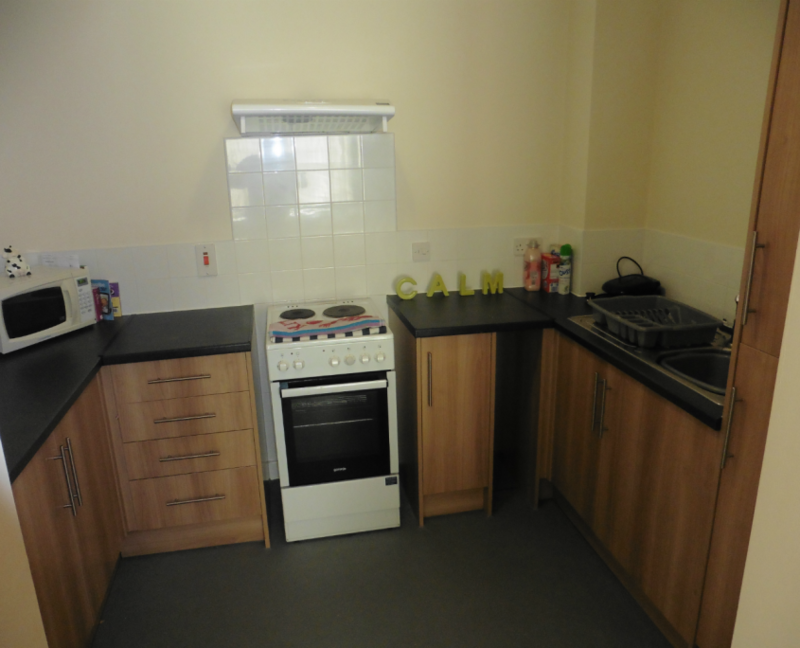 As well as your rent you must also pay a service charge that will not be covered by housing benefit. This should be paid weekly. The service charge covers the cost of personal utilities, i.e: gas, water, electricity, and use of SafeSpace facilities and equipment. 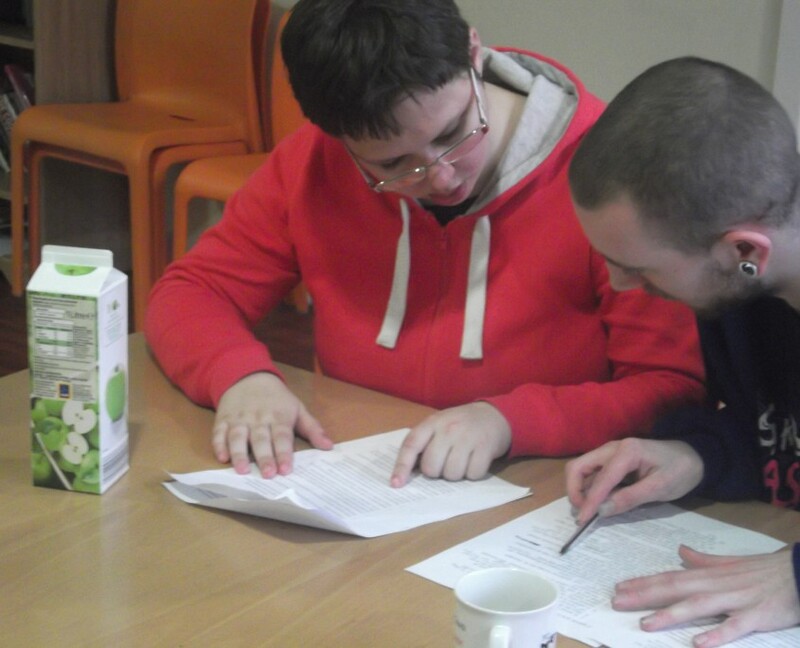 Everyone needs support at some point in their lives and SafeSpace is here to support young people to make positive choices, gain independent living skills and develop the emotional resilience they need to move onto lead successful and fulfilling lives. Helping young people to make their own choices, we will never make those choices for you. Listening to how the young person feels, and what they have to say about something. Explaining what options are available and what the outcomes of those options are likely to be. Explaining what barriers might prevent a young person from achieving something, and how they can overcome those barriers. Explaining how and why other people may react in a particular way to a young person’s behaviour. Being a role model for positive behaviour. Empowering and motivating young people to set and reach their goals. 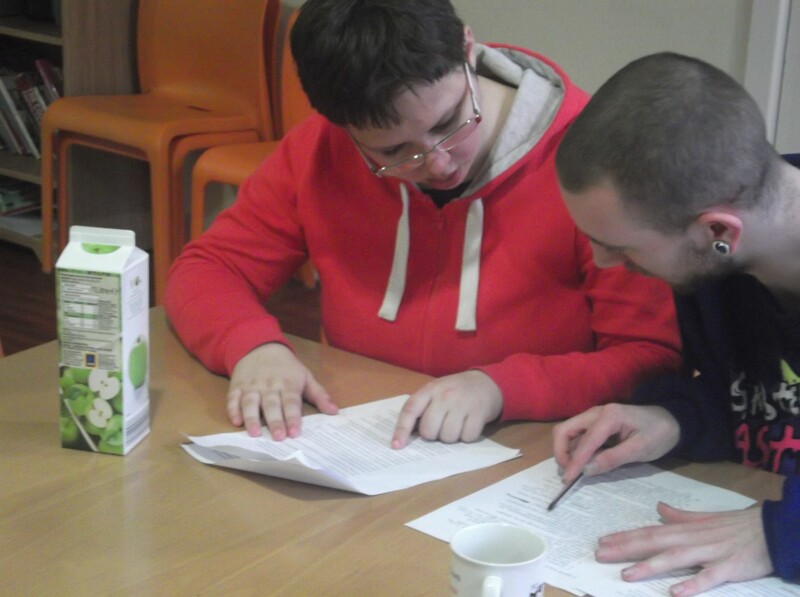 Whilst you are at SafeSpace you will have your own support plan and personal development plan (PDP). Staff will support you to meet the targets that you will set for yourself with the help of staff and you will be given many opportunities to reflect on your SafeSpace journey. 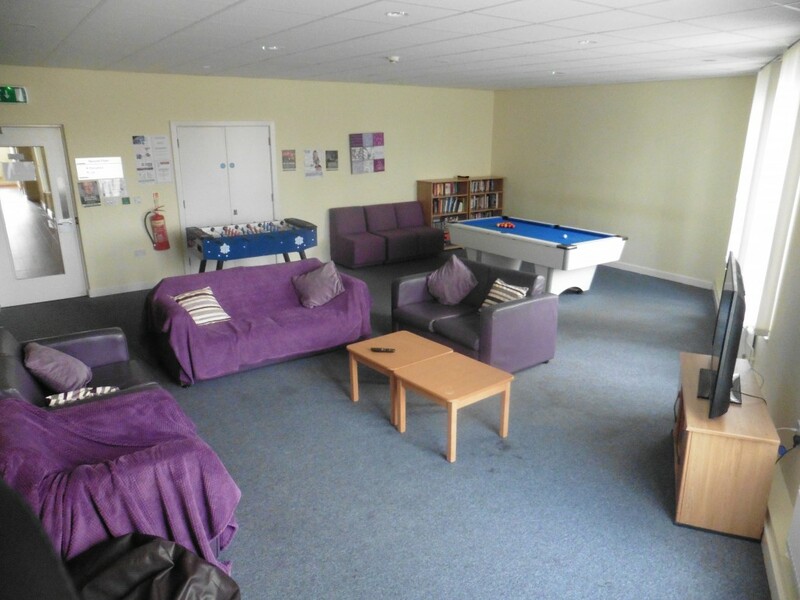 Detailed information about living at SafeSpace Pendle is available in our resident handbook which is available to download here. 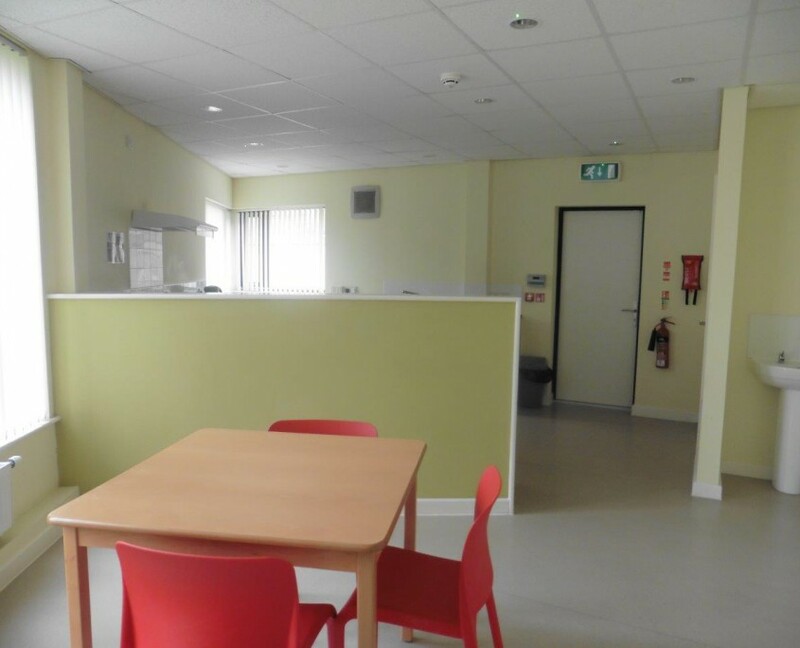 Detailed information about living at SafeSpace Rossendale is available to download here.If you are considering a referral to SafeSpace, and have a question about our service, you can contact us on 01282 619192 for Pendle or 01706212894 for Rossendale. 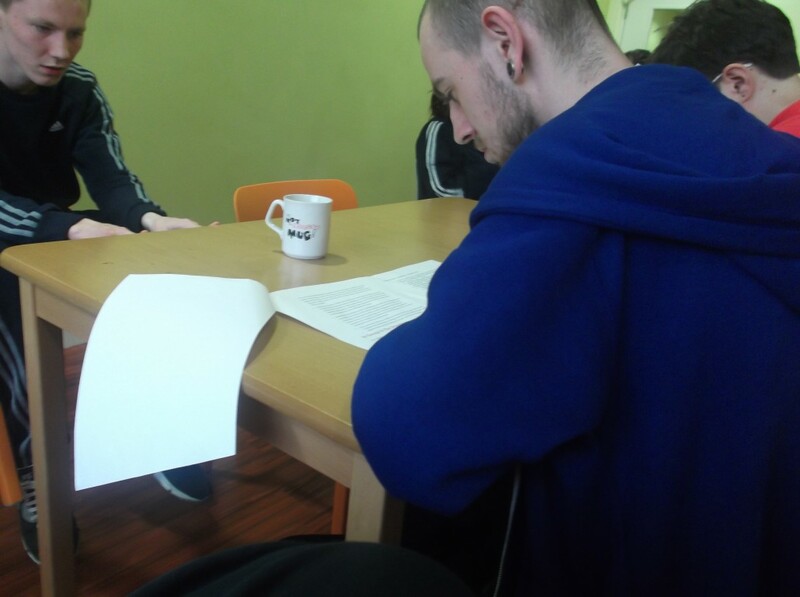 Whilst living at SafeSpace you will be supported to take part in some form of appropriate education, training, work placement or personal development opportunities. This doesn’t mean we will make you sign up to any old college course that is not appropriate to your personal development. Working together with the designated “education champions” within SafeSpace we will identify appropriate education, training, work placement or personal development opportunities that meet your particular need not ours. We have excellent working relationship with a number of training & education agencies which give us up to date information of all personal development opportunities in the local area. This will give you the chance to make the most appropriate choice for you to further your education whilst in a safe, non-judgemental and supportive environment. We also have internal training opportunities that will allow you to gain further qualification through project such as the ME Project, Passport 2 Housing & Learning Curve Workshops. We also have monthly workshops on different topics to ensure you have the most accurate and up to date information on the relevant monthly subject. We deliver a number of workshop ranging from Sexual Health, Mental Health & Oral Health to Domestic Violence, Equality & Drugs and Alcohol. 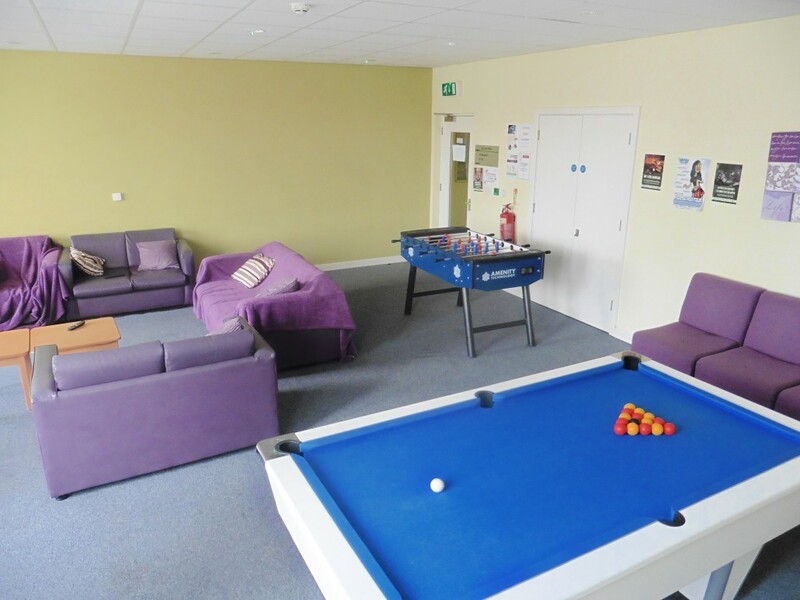 There is a communal lounge with television and pool table for use by young people staying within the emergency ensuite units . 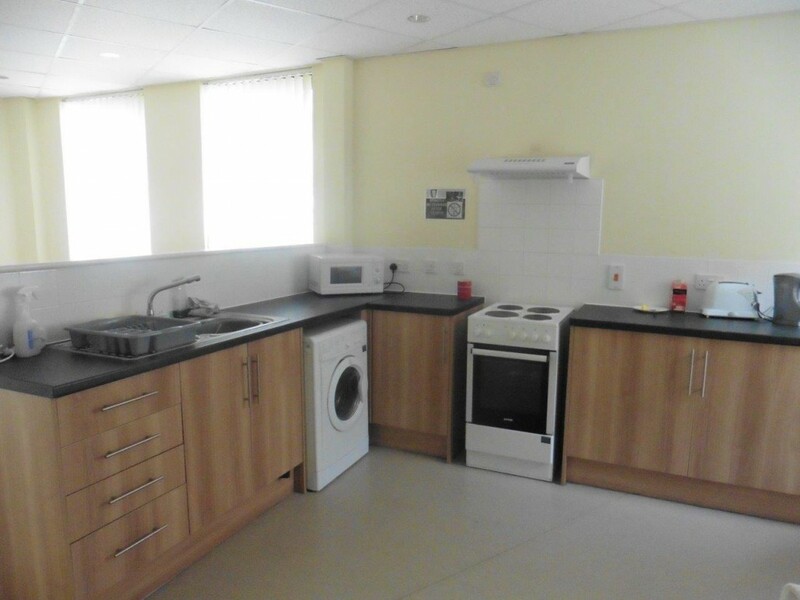 There is also a communal kitchen with use of a washer/dryer. We have a communal lounge that is available to all young people living in the self contained flats. This communal space allows for socialising and activities including film nights, pool tournaments, board games, as well as hosting external agencies that come in to offer services or support. 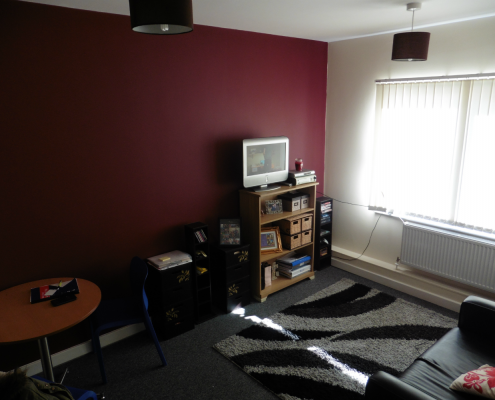 Fully furnished including a pool table and table football. Residents meetings are also held in the lounge on a weekly basis. 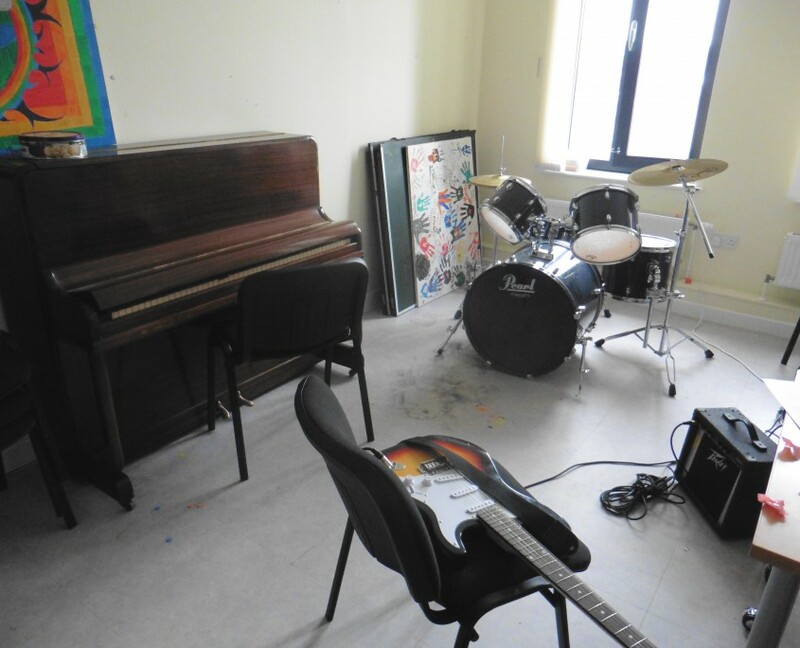 We also have a communal arts, crafts and music activity room. 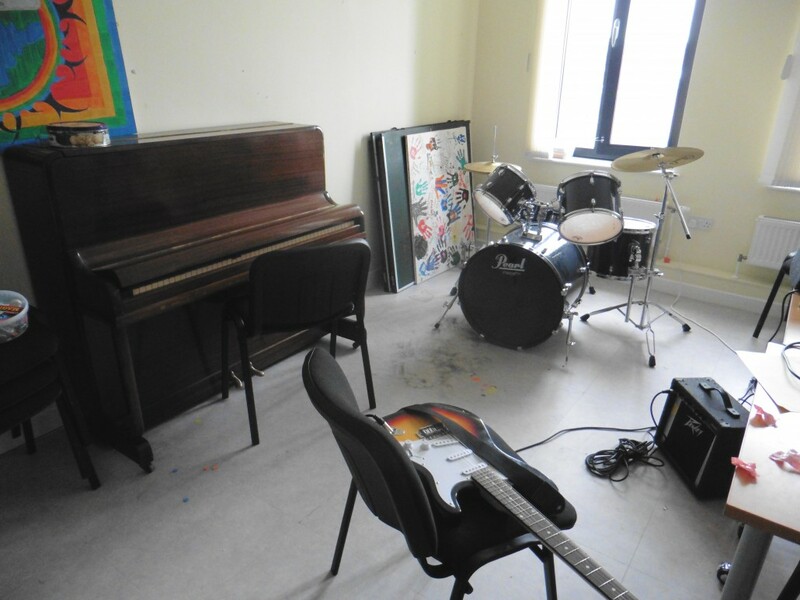 It hosts a piano, drum kit and guitar along with various arts and crafts facilities for use by everyone. Arts and crafts activities held include; canvas painting, card mating, creative CV’s and support planning, egg decorating, collages, sewing and weaving, knitting graffiti art, word art and clothes making. 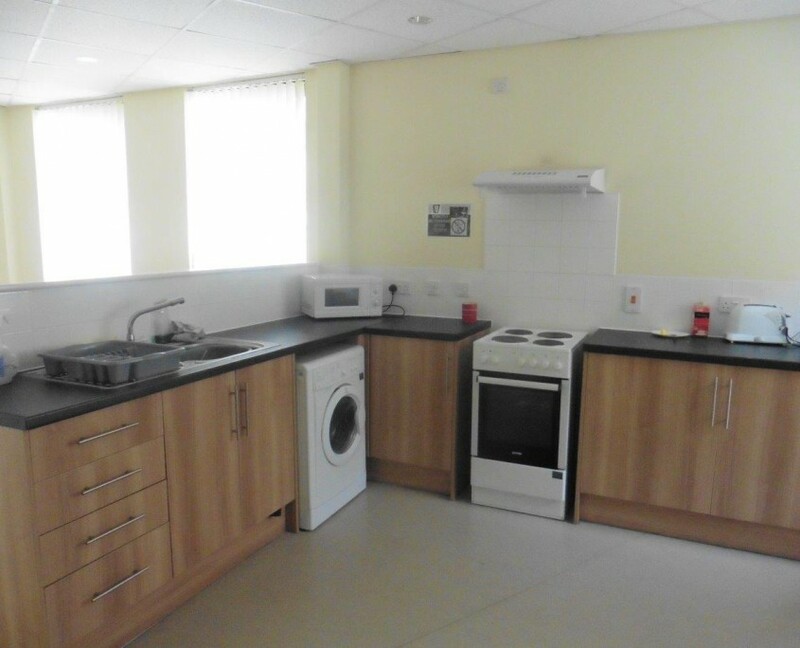 For those staying within the self contained flats we also provide laundry facilities of washer, dryer, iron and ironing board. Cost for this use is included in your service charge. 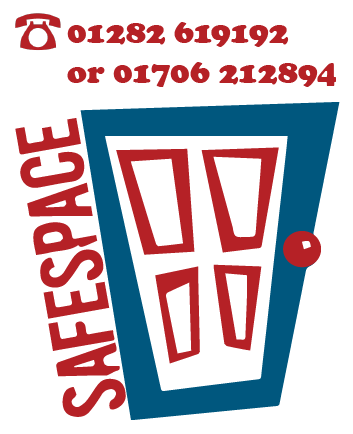 We have our own counselling room within SafeSpace. 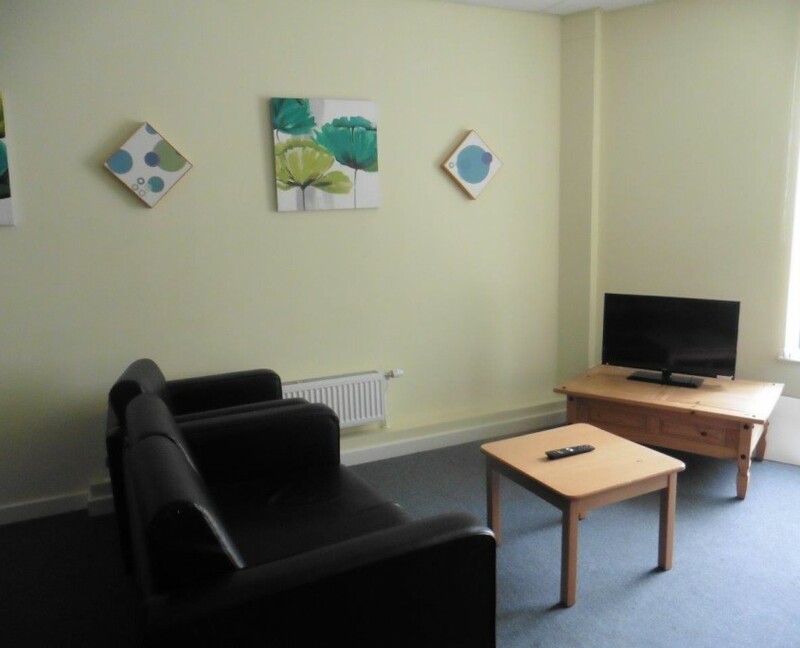 We also have direct access to qualified counsellors who can come and see you at SafeSpace should you want this, and as this is direct to our service there isn’t a waiting list. The counselling room can also be used as a support session room or just as a chill out space should you need it. We make the most of the great Wifi signal in te reception by providing an IT bar, so you can get online. 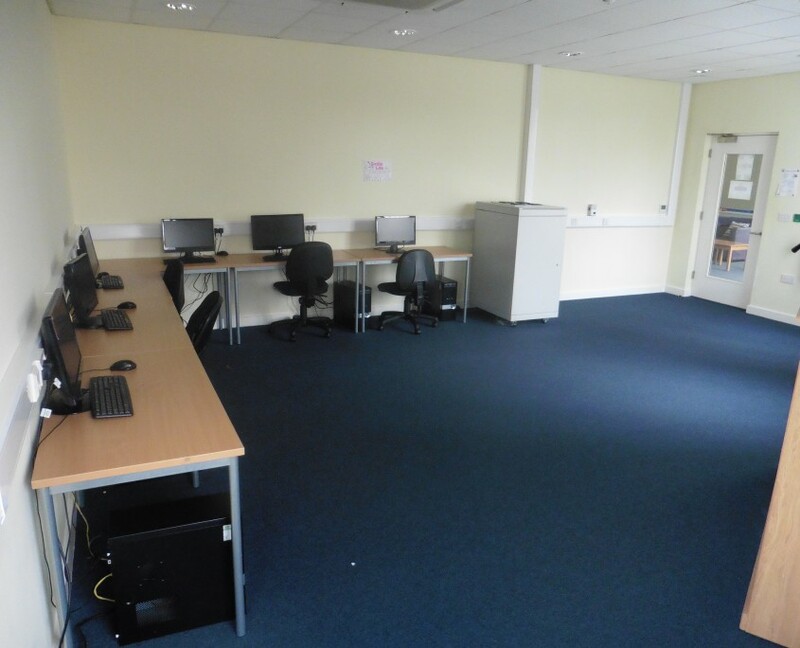 We also run IT skills sessions, job clubs, homework clubs, home hunting clubs, CV writing on a regular basis. We also work closely with the local colleges and training providers who attend and support young in gaining qualifications in IT, numeracy and literacy. 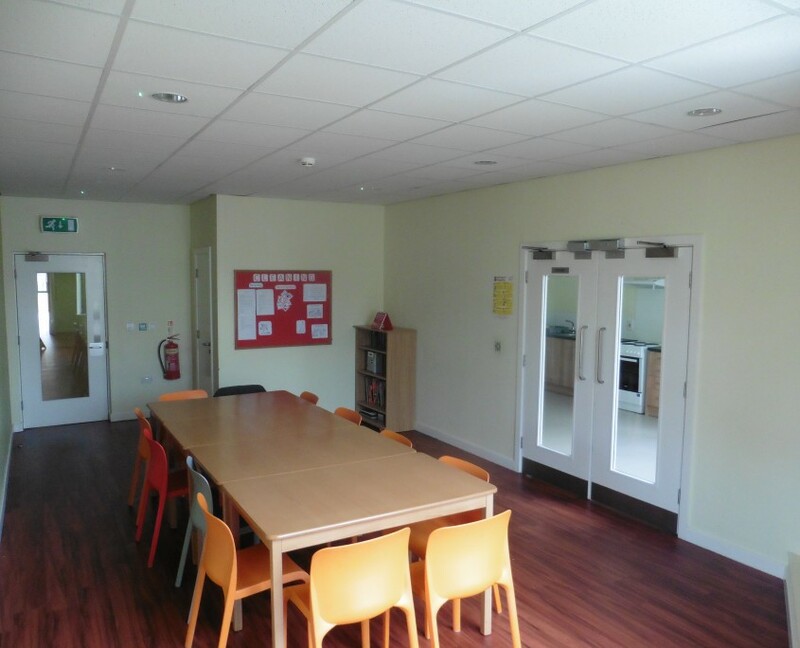 We have a communal dining area, this is used for our Breakfast Club every morning. The breakfast club offers all young people an opportunity to have a free breakfast every morning, this can be anything from cereals, toast, fruit, up to a full English breakfast or pancakes! The communal dining is also used as part of the Cooking projects offer where young people can learn how to budget for, prepare, cook, serve and eat meals. This room has also been host to many a party including Halloween, Christmas, Eid Mubarak, beach party etc and its also where you’ll find staff grabbing a bite to eat in their lunch break! 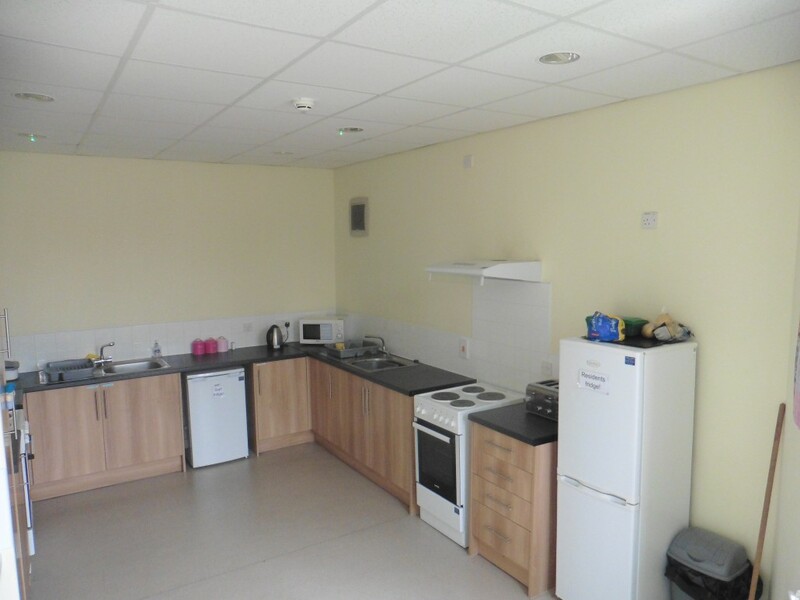 We have a training kitchen where young people can develop their skills and confidence around cooking and food hygiene. 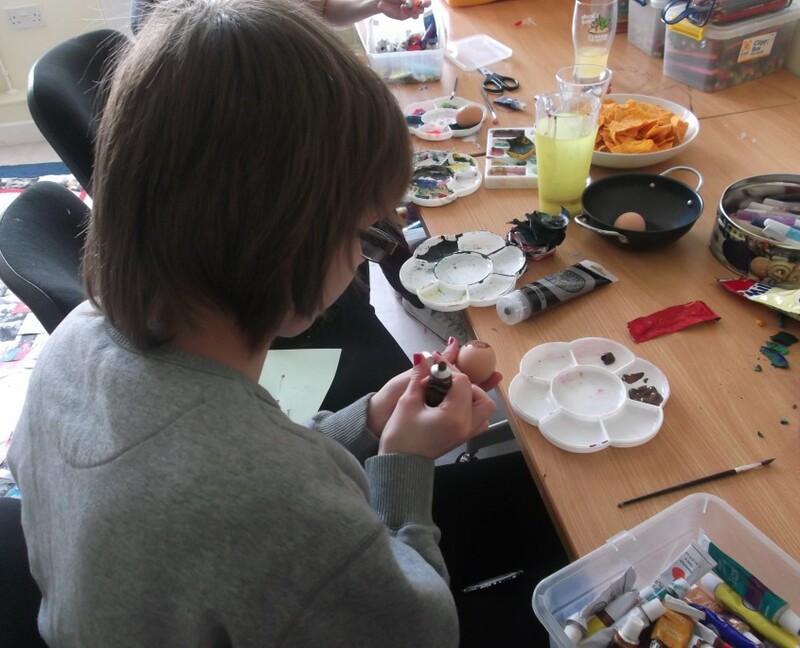 We hold weekly cooking projects where young people identify a meal they want to learn to cook and are supported them to identify healthy options, budgeting issues and then prepare the meal and cook to share with other young people in the project. 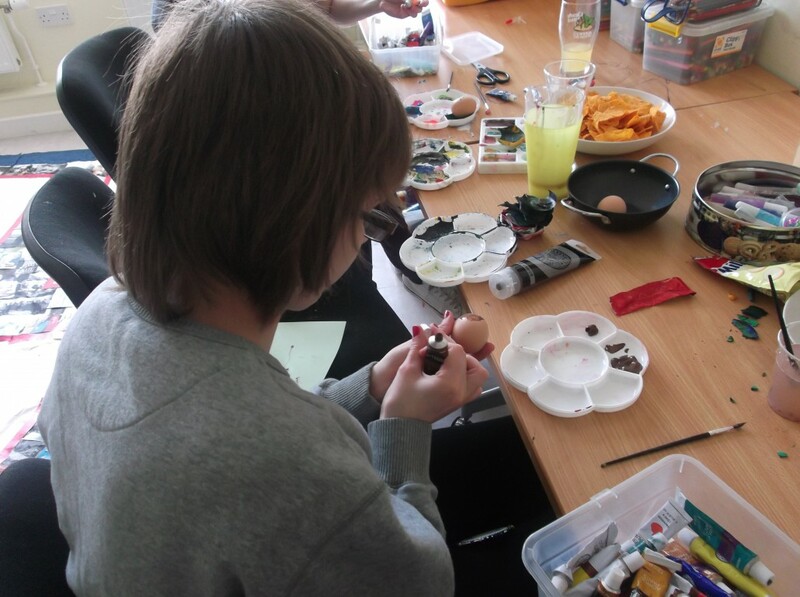 We are currently also running a Come Dine With Me Project as part of this project. Whenever there are events or seasonal parties/ activities e.g. pancake day, Christmas dinner etc being held for young people this is where the food is prepared and young people take the lead on this! The building at Rossendale is smaller than Pendle, but still crammed with good stuff! 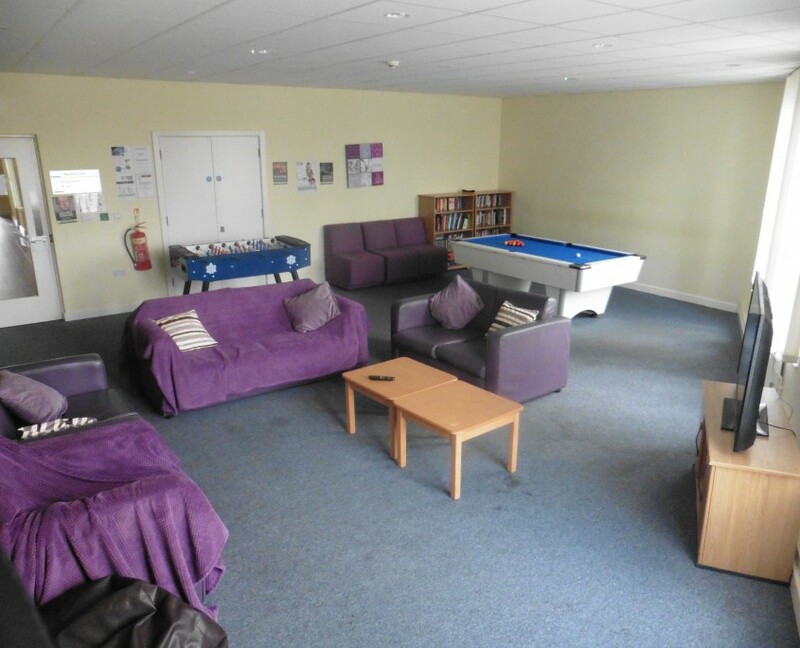 We have a large communal room with comfy sofas and a TV, kitchen facilities and a dining table. 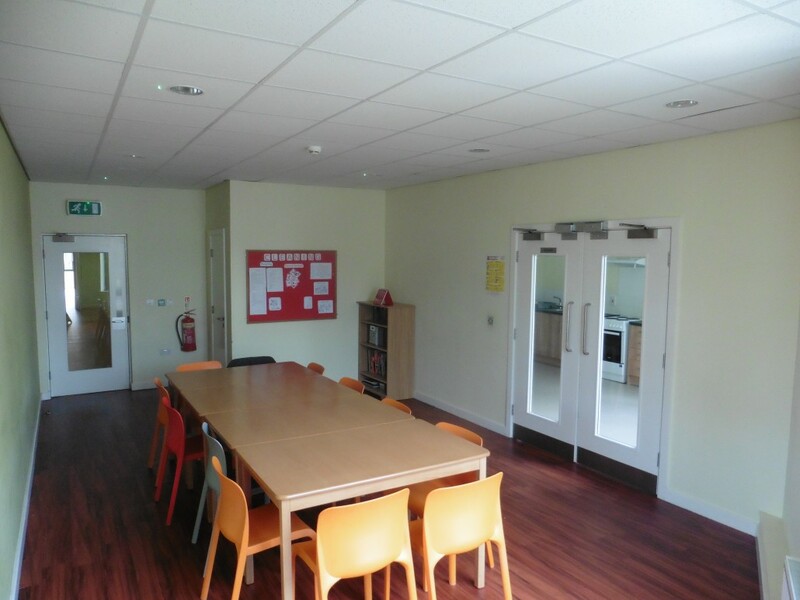 We host Breakfast club in this room every morning which can be anything from cereals, toast, fruit, to full English! We also run cooking projects where you can learn how to cook the meals you want to eat and host our own version of ‘Come Dine with Me’ from time to time. Residents can use the room to socialise and chill out in front of the TV, and we also host movie nights and pamper nights in here. Resident meetings are held in here every week and as well as seasonal activities including parties for Eid and Christmas. Upstairs we have an extra chill out room with sofas, bean cubes a TV, games consoles and a couple of computer desks. 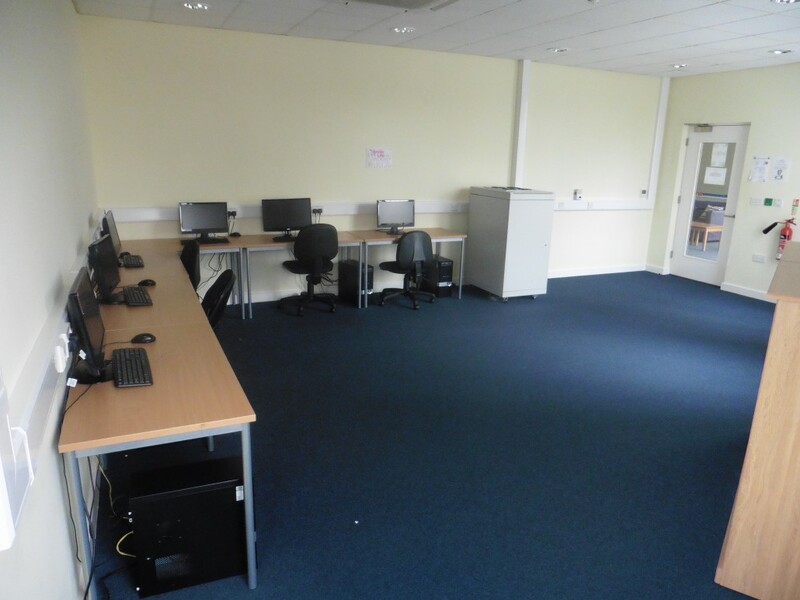 In here we hold IT skills sessions, job clubs, homework clubs, home hunting clubs, CV writing on a regular basis. 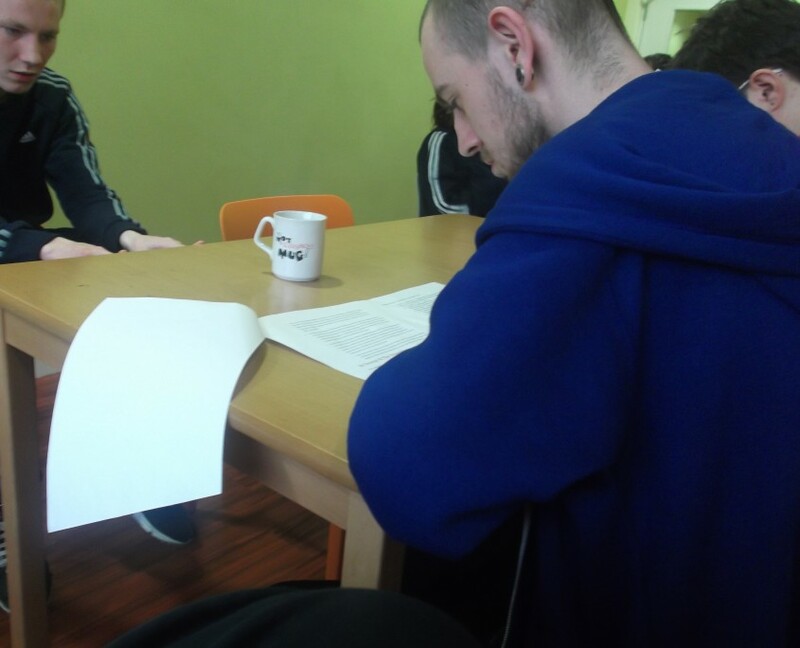 We also work closely with the local colleges and training providers who attend and support young in gaining qualifications in IT, numeracy and literacy. We provide residents with laundry facilities of washer, dryer, iron and ironing board. The cost for this is included in your service charge.